Traditional Chinese Medicine treatment involves the use of modalities such as herb formulas, acupuncture, acupressure, dietary therapy and body practices such as tai chi and qi gong. Although tai chi and qi gong are normally very safe and gentle, be sure to discuss any health or mobility concerns with the instructors. Traditional Chinese herbal products can be easily purchased online. 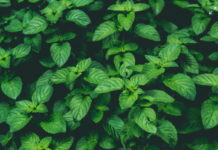 Some of the herbs used in Traditional Chinese Medicine can interact with drugs, have serious side effects, or be unsafe for people with certain medical conditions. It is recommended that patients should check their doctors to avoid any undesired side effects if they are using any herbal products. Acupuncture is commonly considered safe when performed by a licensed TCM practitioner. Improperly performed acupuncture can cause potentially serious side effects. Acupressure on the other hand can be self-learned. There is no need to be expert to apply some common acupressure points. From the perspective of Traditional Chinese Medicine, all illnesses, is the result of energy imbalance, either in the form of an excess or a deficiency of the body’s elemental energy. Qi, the energy or vital life force flows through your body along pathways known as meridians and is affected by the balance of yin and yang. It regulates our spiritual, emotional, mental, and physical health. Your body becomes ill if there is a blockage or imbalance in the energy flow. TCM treatment aims to restore the balance of Qi energy. Yin-yang theory is the concept of two opposing but complementary forces that shape the world and all life. The balance of yin and yang maintains harmony in your body, mind and the universe. “Develop modern medicine and Chinese traditional medicine” was put into the Constitution and the State Administration of Traditional Chinese Medicine was established in 1986. 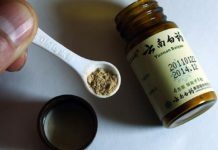 Two years later, on the basis of the Administration, the State Administration of Traditional Chinese Medicine and Pharmacology was established. It is responsible for the national management of traditional Chinese medicine and pharmacology, for formulation of developing strategies, guiding principles, policies, laws and regulations, in charge of TCM therapy, health care and rehabilitation programs of traditional Chinese medicine, integrated traditional and western medicine and nationality medicine; and development of scientific techniques, as well as in comprehensive control of the equilibrium between production, supply and marketing of traditional Chinese medicine. Traditional Chinese Medicine education has developed gradually undergraduate education, postgraduate education. The TCM higher education has been expanded in scale and its professional structure has been rationally regulated. In education of university and college level, with the advance of the reform, some specialized subjects such as TCM foundations, orthopedics and traumatology, massage, preparation of Chinese medicine have been gradually added on the bases of the subjects of traditional Chinese medicine, Chinese pharmacology and acupuncture. In remote antiquity, the ancestors of the Chinese nation chanced to find that some creatures and plants could serve as remedies for certain ailments and pains, and came to gradually master their application. As time went by, people began to actively seek out such remedies and methods for preventing and treating diseases. Sayings like “Shennong (Celestial Farmer) tasting a hundred herbs” and “food and medicine coming from the same source” are characteristic of those years. The discovery of alcohol in the Xia Dynasty (c. 2070-1600 BC) and the invention of herbal decoction in the Shang Dynasty (1600-1046 BC) rendered medicines more effective. In the Western Zhou Dynasty (1046-771 BC), doctors began to be classified into four categories – dietician, physician, doctor of decoctions and veterinarian. During the Spring and Autumn and Warring States Period (770-221 BC), Bian Que drew on the experience of his predecessors and put forward the four diagnostic methods – inspection, auscultation & olfaction, inquiry, and palpation, laying the foundation for TCM diagnosis and treatment. The Huang Di Nei Jing (Yellow Emperor’s Inner Canon) compiled during the Qin and Han times (221 BC-AD 220) offered systematic discourses on human physiology, on pathology, on the symptoms of illness, on preventative treatment, and on the principles and methods of treatment. This book defined the framework of TCM, thus serving as a landmark in TCM’s development and symbolizing the transformation from the accumulation of clinical experience to the systematic summation of theories. A theoretical framework for TCM had been in place. The Shang Han Za Bing Lun (Treatise on Febrile Diseases and Miscellaneous Illnesses) collated by Zhang Zhongjing in the Eastern Han Dynasty (25-220) advanced the principles and methods to treat febrile diseases due to exogenous factors (including pestilences). It expounds on the rules and principles of differentiating the patterns of miscellaneous illnesses caused by internal ailments, including their prevention, pathology, symptoms, therapies, and treatment. It establishes the theory and methodology for syndrome pattern diagnosis and treatment differentiation. The Shen Nong Ben Cao Jing (Shennong’s Classic of Materia Medica) – another masterpiece of medical literature appeared during this period – outlines the theory of the compatibility of medicinal ingredients. For example, it holds that a prescription should include at the same time the jun (or sovereign), chen (or minister), zuo (or assistant) and shi (or messenger) ingredient drugs, and should give expression to the harmony of the seven emotions as well as the properties of drugs known as “four natures” and “five flavors.” All this provides guidance to the production of TCM prescriptions, safe application of TCM drugs and enhancement of the therapeutic effects, thus laying the foundation for the formation and development of TCM pharmaceutical theory. In the late years of the Eastern Han Dynasty, Hua Tuo (c. 140-208) was recorded to be the first person to use anesthetic (mafeisan) during surgery. The Zhen Jiu Jia Yi Jing (AB Canon of Acupuncture and Moxibustion) by Huangfu Mi during the Western Jin time (265-316) expounded on the concepts of zangfu (internal organs) and jingluo (meridians and collaterals). This was the point when theory of jingluo and acupuncture & moxibustion began to take shape. Sun Simiao, a great doctor of the Tang Dynasty (618-907), proposed that mastership of medicine lies in proficient medical skills and lofty medical ethics, which eventually became the embodiment of a moral value of the Chinese nation, a core value that has been conscientiously upheld by the TCM circles. A herbology and nature masterpiece, the Ben Cao Gang Mu (Compendium of Materia Medica) compiled by Li Shizhen in the Ming Dynasty (1368-1644) was the first book in the world that scientifically categorized medicinal herbs. It was a pioneering work that advanced TCM pharmaceutical theory. The Wen Re Lun (A Treatise on Epidemic Febrile Diseases) by Ye Tianshi during the Qing Dynasty (1644-1911) developed the principles and methods for prevention and treatment of pestilential febrile diseases. 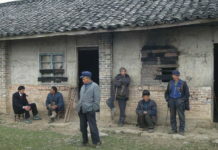 It represents the theory and results of the practice of TCM in preventing and treating such diseases. Following the spread of Western medicine in China from the mid-Qing Dynasty, especially during the period of the Republic of China (1912-1949), some TCM experts began to explore ways to absorb the essence of Western medicine for a combination of TCM with Western medicine.